Your Neighborhood Experts in Pike County! Working with an owner that has specialized in the Pike County real estate market for the past 25 years should definitely put your mind at ease! With extensive experience in vacant land sales, new construction sales, house/lot packages, and other non-residential sales, we have what it takes to meet your personal needs! We are focused on providing you with the best results and service in the industry! We listen carefully to understand your real estate goals and work hard to create solutions that make sense for you! Whether you are new to the market, an experienced investor, or looking for a vacation home, we have the expertise, proven track record, and resources to help. As it is often said, real estate is about location, location, location. We have extensive knowledge of the greater Milford, PA area and can help you find the right home for you or the right buyer for your home. Your FULL Service Real Estate Company! Weichert is one of the few "full service" Real Estate companies left! Weichert's Gold Services proudly provide assistance with relocating, financing, home insurance, and much more! We are your "one-stop-shop" for all your real estate needs to ensure that you have a stress-free move! Your LOCAL and GLOBAL Realtors! Weichert takes pride in not only making sure your home is featured locally but GLOBALLY! Our aggressive internet strategy has proven effective for the last 45 years, ensuring that we are always generating traffic towards your home! Weichert drives over 3 million consumers to their website daily while we are driving the tens of thousands to ours personally! Weichert Relocation spreads from coast to coast giving you the edge to be able to work with a Weichert agent whether you are staying in Pike County or moving to Beverly Hills, California! Weichert Realtors Ruffino Real Estate believes in COMMUNITY and local support! Throughout the years, we've strived to host and/or donate to many local charities and outreaches such as "Toys for Kids" and Habitat for Humanity and also local food drives for the community. We are looking forward to more engagement in 2019 and for many more years to come! We believe in the power of "word of mouth" advertising, printed advertisements in our local newspaper, AND OPEN HOUSES! Our wide range of followers on all of our social media accounts reach thousands and are growing daily! Feel free to take a look and please like, comment, and SHARE! 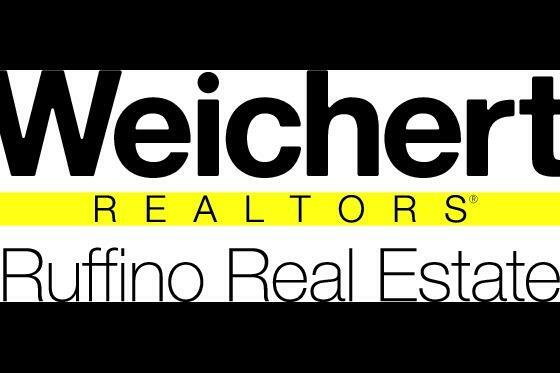 Weichert Realtors Ruffino Real Estate is a member of the Pike County Chamber of Commerce, along with the Multiple Listing Service (MLS) which has access to 20 different publications ensuring that your home is reaching all interested parties in obtaining their version of the American Dream! Your "Family" in the business! Jim Weichert started Weichert Realtors in 1969 in Chatnam, New Jersey. Since then, we have taken charge with over 450 offices nationally and growing by the minute! Locally, Weichert Realtors Ruffino Real Estate has been established since 2005 and strive to be your "family" real estate broker. Most of our agents are natives from the Pike County area or long term veterans, making them the masters of their craft in Milford, Matamoras, Shohola and Dingman's Ferry! We have all walks of life working with us and awaiting to work with you! We take pride in ensuring you and your family is taken care of from day one! No real estate transaction is the same and with that being said, we want to ensure that you are our highest priority! Weichert Realtors Ruffino Real Estate is equipped to negotiate, advise, and close on your new property. We're sure you'll be leaving with a smile! PUT WEICHERT TO WORK FOR YOU!